Frank was in the Shellharbour Hospital system in February 2015 for unknown problems. Albion Park RSL Sub Branch Members are requested to attend the service of their late esteemed comrade. Frank Smithers at Parsons, Warilla on Thursday 24 September at 12 noon. Blazers / medals to be worn. Passed away in hospital after a long battle, surrounded by his family on September 19, 2015. Loved father of Annette and Jac, Joyce, Sandra and stepfather of Joy, Terry, Deidre. Grandfather of 14, great grandfather of 24 and great great grandfather of 3. Former serving councillor of Shellharbour Council for 23 years and 2 terms served as Deputy Mayor. Police officer for 35 years. Relatives and friends are invited to attend Frank’s funeral service to be held in the Chapel, Parsons Funeral Home, 10 Woolworths Avenue Warilla on Thursday 24th September, 2015 at 12noon. Following the service his funeral will proceed to Albion Park Cemetery, Croome Road, Albion Park Rail. 1. 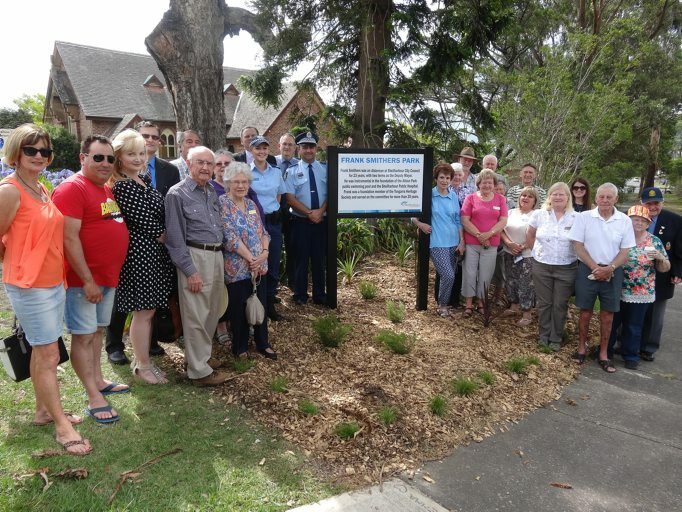 That reserve 133, Lot:1 DP: 908823, 248 Tongarra Road Albion Park, be named Frank Smithers Park in recognition of former Alderman Frank Smithers dedicated service to the community of Shellharbour in accordance with Council’s Naming of Council Assets after Individuals policy. 2. 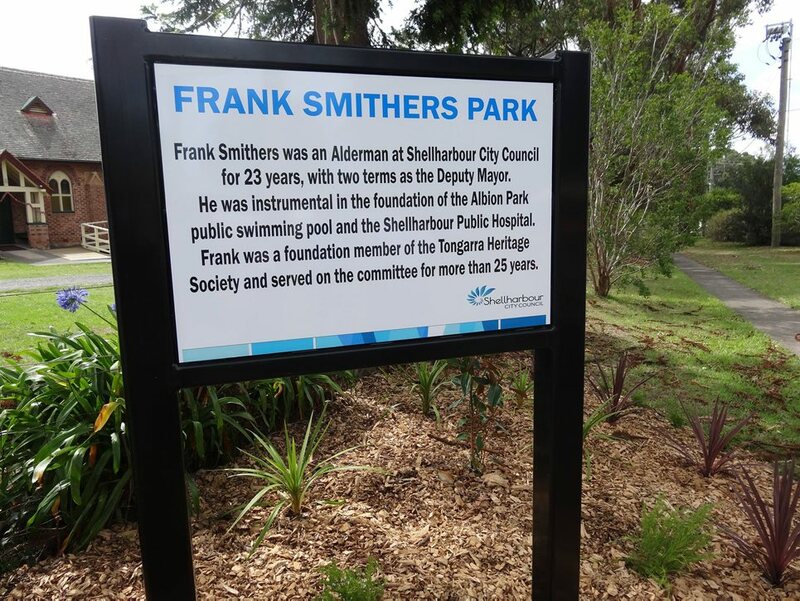 That the name Frank Smithers Park be referred to the Geographic Names Board for exhibition in accordance with its policy. 3. That, if approved, appropriate signage be installed at the site denoting the new name and an appropriate ceremony be held when signage is installed. 4. That the signage include information about Alderman Frank Smithers. This park was to be ‘unveiled’ on Friday 16 December 2016 but due to poor weather, has been postponed. The park was officially ‘unveiled’ on Tuesday 20 December 2016. The following pupils of Unanderra Public School passed the Primary final examination; Jenny Bird, Jack Brough, Arthur Callaway, Bob Catterall, Bert Coleman, Tom Franklin, Bruce Jay, Betty Jolliffe, Wallace Mason, Molly Rodgers, Frank Smithers, Joyce Stevenson, Tim Sweeney, John Timothy, Nancy Todman, Bill Wadey, Ken Watson. *It is not known if this article is referencing the same Frank Smithers at Unanderra Public School, or if the policeman Frank Smithers actually attended this school, but the time frame is correct.